How can I get help with Wet Ink? Contact Wet Ink for technical support. Have questions about your class? If you have any questions about class content, such as readings, assignments, class policy, we suggest you reach out to your instructor directly. You can start a class discussion and tag your instructor or reach out to your instructor through private messaging. Have questions about Wet Ink or need technical support? Wet Ink customer support is here for you. 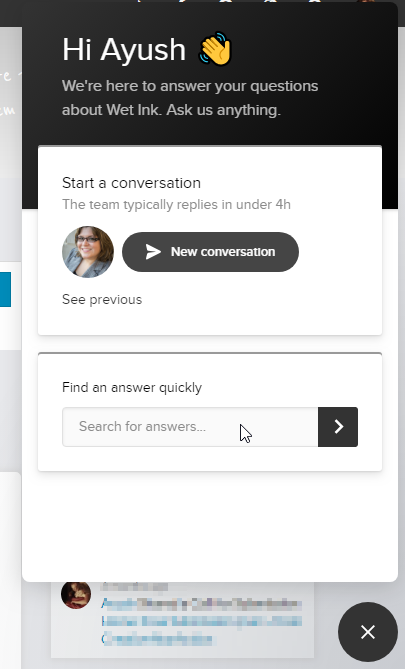 While using Wet Ink, anytime you have a question you can click the chat icon in the lower-right corner. 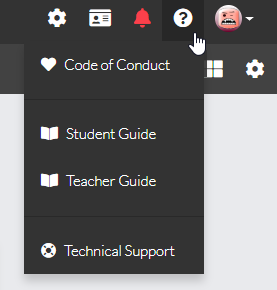 You can also reach our chat window by opening the 'Help & Support' on your navigation bar and choose the 'Technical Support'. Email us at team@wet.ink and we will still treat you like the VIP that you are. We also cover the details of getting started in our Help Center.